Police have confirmed that the body of a man from County Down has been found during a search on Lough Erne. 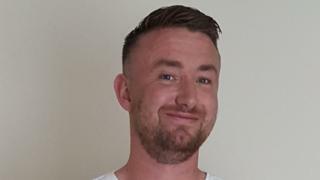 Kenny Andrews, 31, was from Bangor and the managing director of Newtownards-based company, Damp Proofing NI. His fiancée and family have expressed their thanks to the emergency services who were involved in the search. The operation, involving police, RNLI , Community Rescue Service volunteers and the Irish Coastguard, began on Sunday after an incident involving a jet ski. "A post mortem examination will take place in due course," a police spokesman said. "Police are not treating the death as suspicious at this time." Ulster Unionist MLA Rosemary Barton said news of the recovery of a body brought "profound sadness". "At this very difficult time, my thoughts and prayers are with the bereaved family together with those of the rescued jet skier."